Not every dog with canine underbite needs treatment. This bulldog’s teeth are considered normal for the breed. To learn more about Dr. Kevin Winkler, visit our Contributors page under the “About” tab at the top of this page. I never thought of fixing a dog’s underbite, and I didn’t realize it could cause problems. It makes sense, though. Now that Lola has no upper canines I have to watch to be sure her bottoms don’t irritate her top lip. What an interesting article. Tooth problems are serious whether with canines or felines. (two of ours have already had some teeth extractions) I never realized there were canine braces. Anita, the veterinarian I spoke to worked on dogs, so I’m not sure whether there are feline braces available, but I would think that a veterinary dentist could work on cats if need be. I’ll have to check into that! I hope the tribe doesn’t need any more extractions in the future! I’ve heard of dog braces but have never actually seen them in real life. It’s a good idea for dogs that really need them. Teeth problems can be miserable! I agree! And I’m glad that pet orthodontists are very clear about what they will and won’t do. 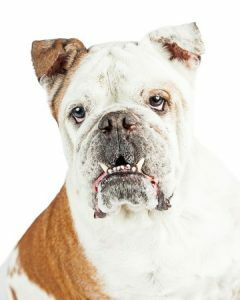 It is not considered a cosmetic procedure; it’s only for dogs who have serious health or eating problems to cope with. I never before realized that there were braces for dogs! I mean, I guess it shouldn’t surprise me. But what will they think of next? I was surprised, too! I doubt my parents would have put them on our family dog, though, after paying for braces for three kids. I believe pet dentists began using braces in the 1980’s, so it’s a relatively new phenomenon. I’ve never heard of dog braces, quite the cool concept for those dogs who need it. I appreciate that you start the article by questioning the breed of the dog since so many have “natural” underbites due to years of breeding for it. Tooth problems can be awful, but worrying about ones that aren’t a problem is even worse! You’re right, and we should never want our pets to undergo a procedure that isn’t necessary for their health and well-being. Really interesting info here; I had never heard of pet braces but it makes sense although you would have to be really watchful with them, I think. I agree with you, Clare. Keeping an eye on your pets to make sure they don’t play with tugging toys or have any crunchy or sticky treats would be almost a full-time job. Wow, doggie braces! just as well our pets cannot talk, then Dexter would be nagging to have Invisalign! But jokes aside, dental issues in pets seems to be a huge topic. About half our vet visits for our cats involve dental problems be it, extractions, early signs of gums disease or eating problems associated with teeth. According to my veterinarian, about half of the money spent on vet bills over a lifetime go toward dental issues of some kind. It makes it even more important to brush our pets’ teeth on a regular basis! This is so fascinating, I never even knew braces for dogs even existed! Thanks for sharing this, I’m sure it will help quite a few people. Health options for dogs have come such a long ways since my childhood. I’m glad that braces are available for dogs for medical reasons, but I’m also relieved that they won’t be used for cosmetic reasons. I agree – I would hate for a pet owner to demand braces for their pet based on the quality of his smile. But for animals who really have difficulty eating or breathing, it’s definitely an option. Really interesting. I hadn’t heard of braces until now. Thanks for sharing! I had no idea that dogs could get braces! You learn something new every day 🙂 I’m glad to hear that in a lot of cases though, an underbite is not cause for concern. I would think that it has to be pretty severe before they would try braces on a dog. Can you imagine what she might be thinking when she woke up with all that metal in her mouth? I did not know that underbites could be this problematic sometimes, ouch! Not playing with chew toys or having to get corrective braces is no fun either, but good to know that there are at least options to help alleviate pain in dogs with severe underbites. I didn’t know about braces for pets until recently myself. I’m fortunate that it isn’t a necessity for my dog; the hardest part would be not letting him chew or play tug-of-war! Every time something is out of place it causes trouble. I can see how underbite would do the same thing. And I’m not even talking about the state of my own teeth and the challenges that come with that. Oh my dog this is fascinating I had no idea dog braces existed or that there are times when the underbite would need to be corrected. Thank you for the information! My mom’s dog has a major under bite, but he is a Shih Tzu mix. He appears to do fine and have no problems eating. A dog with braces…makes me smile. So glad that some veterinarians have made dentistry their calling in life so dogs that need some adjustments can get help. Pet parents love to spend money on their pets and this is worthy of money well spent! I take it that minor underbite issues don’t’ cause a dog undue distress? 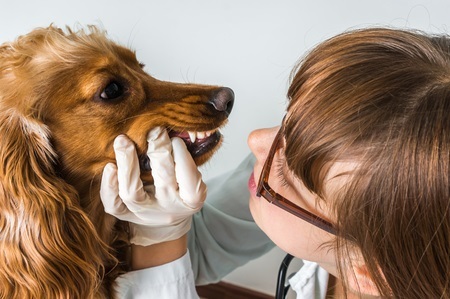 That’s right – in most cases, people may notice a minor underbite, but unless it’s interferring with breathing or causing them pain, dogs couldn’t care less. People should be more like that!